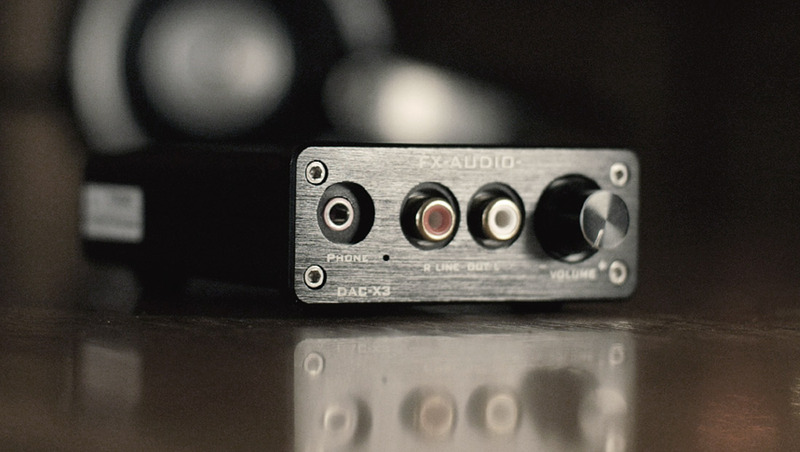 FX AUDIO DAC-X3. One of the cheapest worth to buy? Usually when people start thinking about a need of a dedicated headphone amplifier it’s because they just purchased new headphones and realized that their device. A phone or a computer just doesn’t have enough power to drive them to the volume level they would like. Or maybe. Even that they knew when buying them they are more difficult to drive they just wanted to try first if they really need to make another investment to an amplifier. But not everyone can afford Oppo AH-2 or Chord Mojo or some desktop headphone amplifier from american Shiit. So they start looking for some less known brands on Amazon and they come across Fiio and even less known Chinese brands as SMSL or FX-Audio. And they wonder. Is it waste of money? FX Audio is not even as known brand as SMSL and model X3 is not so popular as its bigger brother X6 which is more powerful and with different DAC chipset. But some buyers say this little guy sounds very close to X6 and is even cheaper so that was the main reason I decided to test this compact amplifier which you can purchase for less than 40 US Dollars. That is basically a price you pay for some DIY amplifiers or for some unfinished unbranded ones which are just a board without a housing on AliExpress. So when the box arrived I didn’t expect any fancy box or packaging or a quality power adapter but there is worth to mention a blue transparent USB cable it comes with and that seems really solid. What also surprised me was the size of the actual amplifier as on the pictures it seemed bigger to me but it’s in a size of cigarettes. (106 x 25 x 70 mm). The build quality is quite nice. All is metal. The finish is black brushed aluminium. RCA connectors are gold plated (coaxial input and RCAs out). The housing and all screws are lined up well except the text above the connectors on the back which just was not in a straight line on my unit. Connecting possibilities of this headphone / DAC amplifier are very good and basically all what you need for any digital device. It features USB, Coaxial and optical input on the back and as it can work also as a stand alone DAC it has also RCA outputs which are unfortunately placed on the front panel which I found not so convenient and not nice to look at when connected. But on the other hand if you will be using it as a DAC only you will just connect it and place it somewhere behind, there is no need to look at it or anything then. On the front panel you can find a standard 3.5 mm headphone jack, mentioned RCA outputs and a volume knob which is not smooth but with clicky steps instead. No analog input. No power button. Which I found unfortunate as I don’t like that it’s always on but not a big deal for most people I guess. And also no input switch so you connect only what you will be using otherwise USB takes always the input priority. It has two LEDs. One on the front panel which lights up when it’s on (plugged in) and there is one more on the back which is red and blinking when receiving a signal from USB. That LED is really bright in the evening . The power adapter it comes with is a standard lower quality DC power adapter with 12V 1A and even a manufacturer recommends to replace it with AC or DC up to 15V 2A or even 2.5A (DC 9-16V, AC 6-15V). I have read a discussion on some forums related to his bigger brother X6 which comes with the same power adapter that to some it really helped to change the adapter and improved it’s sound signature so I tried it but I didn’t find out any change to the sound at all. This DAC has a power regulator circuit and power polarity protection. When testing it I experienced when I plugged sometimes something else in the same room the DAC just cut off the signal and had to be unplugged and plugged again. Due the manufacturer this dac is compatible with any Windows or Apple computer. I didn’t try any MAC but on a PC (Windows 10) it worked well all the time. I didn’t have any issues with a driver. When plugged it recognized it automatically and installed the drivers. I also noticed that DAC is powered via 5V USB port and no power adapter is needed if you will be using it just as a USB DAC. Output of this DAC is just a 16-bit 44khz the maximum you can get from USB and 24bit/192Khz trough coax or optical input. USB decoder uses CM108 chip which supports USB2.0 and other chips are CS8416, CS4344 and NE5532. So as you can see it’s a low budget amplifier and the CHIPs used reflects that. But as always it is not always just about the chips but more how it’s combined together. I tested this headphone amplifier with AKG 702, Audio-Technica ATH-M40X and Beyerdynamics DT770pro (80 Ohms). But as a reference I took AKGs as they are currently my favorite for the music I listen to during the reviews. At the beginning I would say I was really surprised with the sound of this little DAC and Headphone amplifier. The change in comparison with my on board sound card (Realtek HD) was really noticeable to me. The bass goes deeper as it’s usual and first thing you notice with most dedicated DACs but it is not clear and transparent sound you are getting and can offer more expensive competitors. When I connected it just as a stand alone DAC I noticed first that it is not pushing standard 2V trough its RCA outputs. It’s less than that. When is comes to the sound I was surprised how quite musical it sounded. Again the transparency and music instruments separation is not there and it’s a bit muffy but because of it’s warmth it pushes its quite musical personality to any track you listened to. (tested with headphones and also with two speaker set ups as a stand alone DAC). The power is another compromise here. I could not find any specification of the power anywhere but as its bigger brother X6 claims to deliver 910mw at 32 Ohms it is more than clear to me that X3 delivers much less than that. But for my AKG 702 it was loud enough when crossed 2 o’clock of it’s volume knob. After reaching that point the power delivery is not worth it as the distortion comes with then. This little amplifier from a Chinese brand FX-Audio is not a powerful amplifier and also not the best DAC you can buy but if you are at the beginning, on a super low budget and you need an amplifier for not so hard to drive headphones this can be a good starting point for you as for its price it’s a no brainer as already slightly more expensive brother DAC-X6 from FX AUDIO. SMSL IQ. Portable DAC/AMP – Review. FiiO FH1. Balanced Hybrid IEMS – Review. Wharfedale Diamond 220. Stars in the Budget Sky. Sabaj DA2 | SMSL IDEA. A tiny DAC with native DSD512.